This trendy kurti is really pleasing to look at. 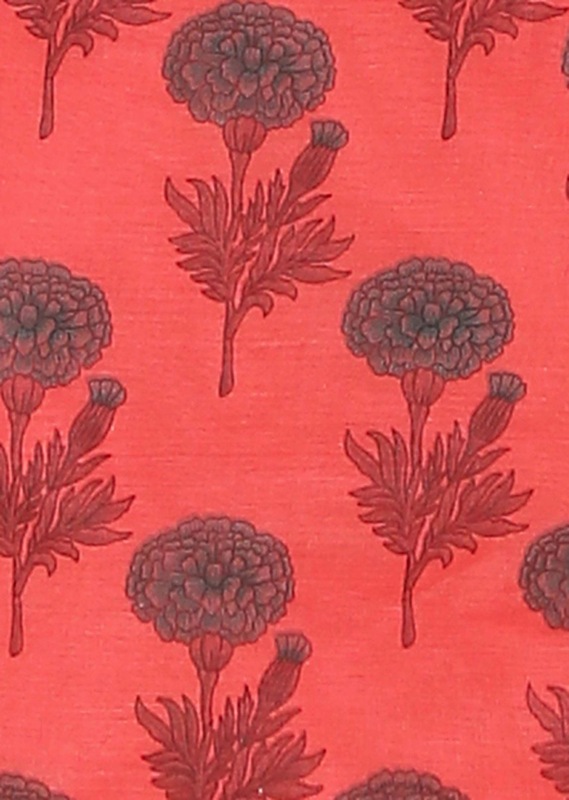 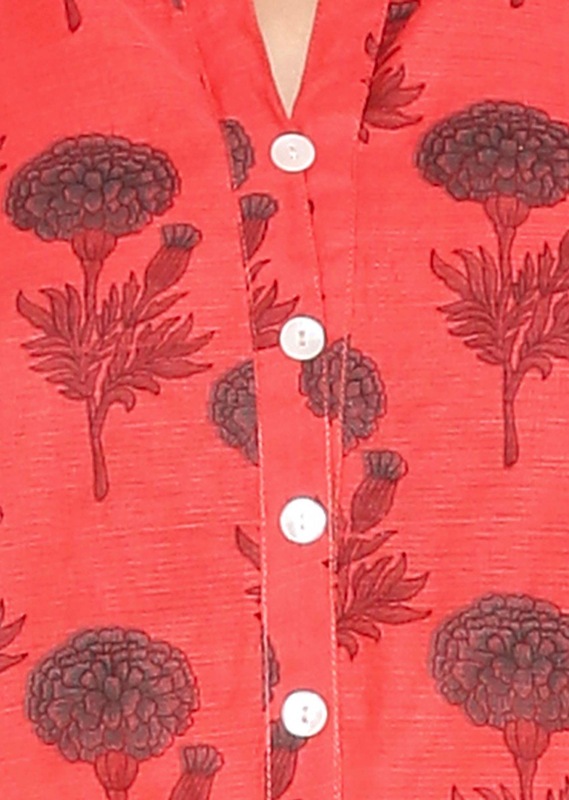 The fabric is lightweight, making it perfect for a summer day wear. 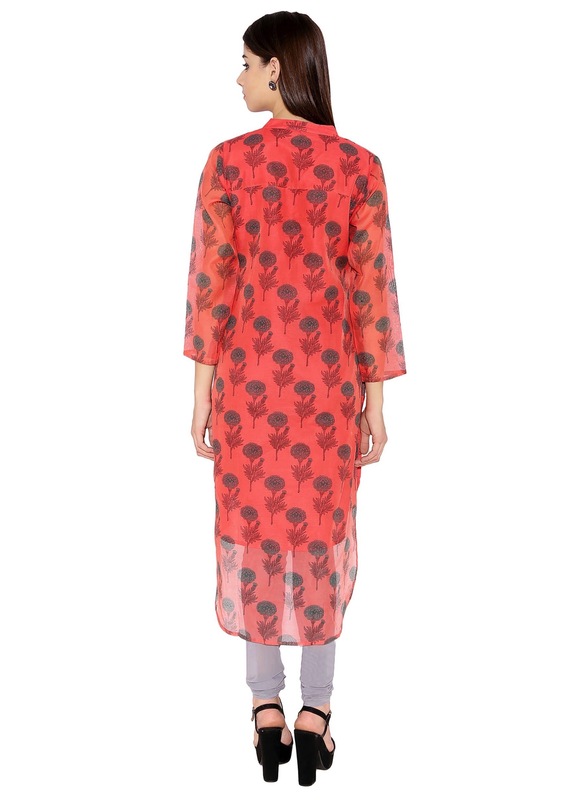 The bright orange hue, coupled with the very contemporary flower print all over looks really good. 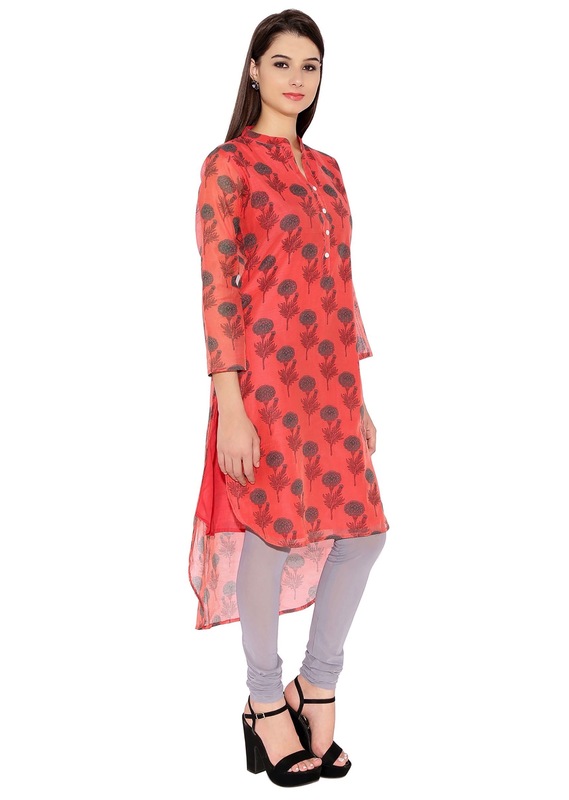 The attraction of the kurti lies in the high low hem line that makes it jazzy. 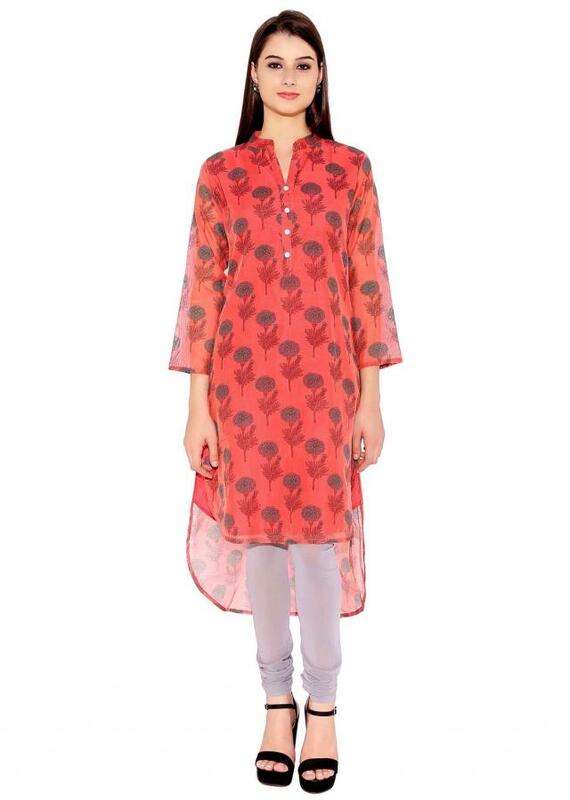 Pair this with cigarette pants or palazzos.